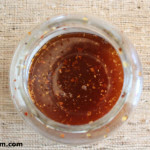 As I scavenge the web in search of the most effective methods and delicious recipes for cooking on Kamado grills, I come across many different websites that deserve to be shared with you. 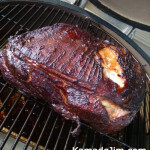 Below, you’ll find a living list of the most helpful and inspiring Kamado cooking websites that I’ve come across thus far. If you have one that you’d like added to this page, please let me know! 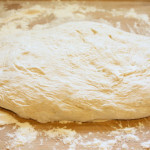 Also, don’t forget to check out the tools that I use and recommend as well as each of the cooks I’ve documented. Big Green Craig – You’ll be hard-pressed to find a bigger egghead than Big Green Craig. The guy not only creates some of the most unique grilling recipes I’ve ever seen, but even has an “Eggcam” which allows you to watch his cooks in real time. ‘Nuff said. Dirty Smoke BBQ Blog – Dru began his foray into the world of BBQ much like myself: while he wasn’t much into food early on, the purchase of a Weber Smokey Mountain smoker changed everything. He’s now a Kansas City Barbeque Society registered judge, so this guy knows his stuff and his blog proves it! The Meatwave – What is it about web developers and barbecue? The two just seem to go hand-in-hand for some odd reason. Josh, aka the Meatmaster, writes up (and expertly photographs) some of the best barbecue how-to’s you’re likely to feast your eyes on. 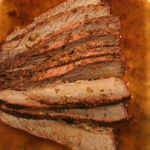 MMMGOBLUBBQ – At Joe’s aptly named website, MMMGOBLUBBQ, you’re going to find a heavy dose of super detailed BBQ recipes and how-to’s sprinkled with his love for Michigan sports teams. 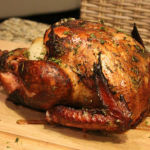 Nibble Me This – Chris is one of the most knowledgeable Kamado enthusiasts you’ll ever come across with a fantastic blog to boot. Not to mention a published Kamado cookbook! 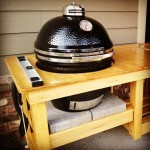 Ceramic Grill Works – Manufacturer of the two-tier-adjustable swing rack that you see everyone using on their kamados these days. 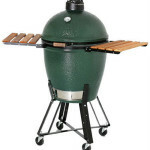 Amazon.com – Items purchased via this link support the development of Kamado Jim. Thank you! Meat Church – Without a doubt, the best rubs (and hair!) in barbecue. I got a chance to cook with Meat Church at the 2014 Eggtoberfest and and can tell you they’re a class act! 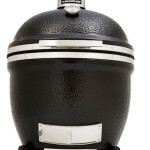 Wayfair – I purchased my Kamado Joe via Wayfair and cannot say enough pleasant things about them from a customer service standpoint. Highly recommended!